« The Number One Killer Women Need to Guard Against–And It’s Not Fashion Related! 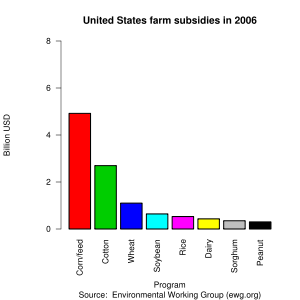 Mystery Solved–Farm Subsidies=Cheap, Fatty, Sugary Food. Subsidize Healthy Foods LIke Fruit & Veggies Instead! The relationship between farm subsidies and obesity is not clear to all. But the basic idea is that as sugary, fatty food is cheaper, people buy more of it and eat more of it. Can you image how tempted you’d be by a bag of chips if they cost $40!